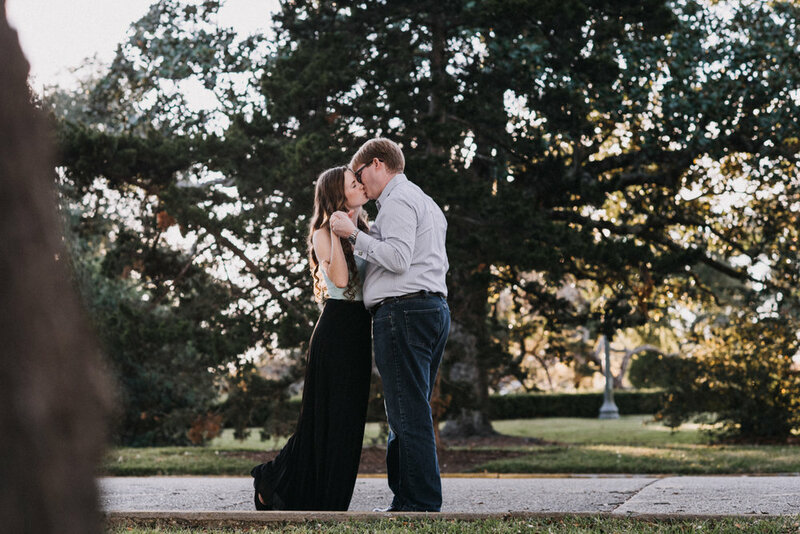 Being able to hang out with Heather and Cooper during their engagement session, which was photographed in Downtown Baton Rouge, was an absolute pleasure! Here are a few fun things I learned about their relationship. We met at a prayer group when Heather was in high school and Cooper was in college. What was your first date like and where did you go? We went to Izzos, Heather was a little bit nervous at first, but we both had a good time! Heather as explained by Cooper. "Heather loves to make funny faces and has a great laugh. She is very patient (she has to be to work with all those kids) and pretends to be interested in all of my scientific ramblings. We enjoy watching movies together." Cooper as explained by Heather. "Cooper is very intelligent and can answer any of my crazy science questions. We both like visiting museums and going to the beach. Cooper never complains about going to the mall with me and even holds my bags! He is such a gentleman and a genuine person." Tell me a little bit about the proposal. "We spent the day in New Orleans going to the WW2 museum for Heather’s birthday." 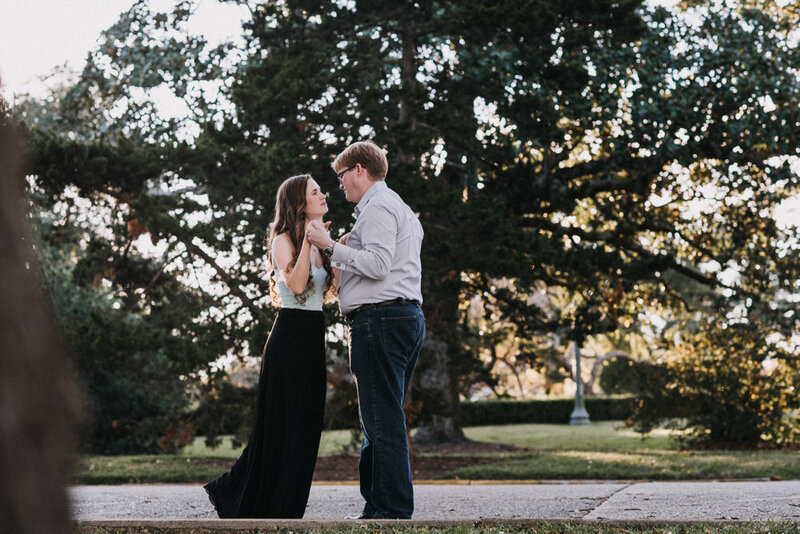 "We then went for a walk in City Park where Cooper got down on one knee and proposed." What are your plans for the future and what are you most looking forward to? We are looking forward to traveling together to see all the national parks. We eventually want to start a family and travel with them. Thank you so much Heather and Cooper for sharing your story! I truly enjoyed photographing your wedding at Istrouma Baptist and reception at Oak Lodge in Baton Rouge, Louisiana!